The research piece allowed for exploration of a topic that was chosen by myself. My interest in Henry David Thoreau’s Utopia as documented in ‘Walden: Or, Life in the Woods’ propelled me to look at other utopian ventures of that time. One of the most fertile periods of utopic development occurred during the late 18th and early 19th century. The roots of those idealistic communities formed in both the UK, USA and elsewhere. Whilst some ventures towards utopia focused on reaching a religious zenith, others prioritised the factory workers and inhabitants under that particular veil of utopia. 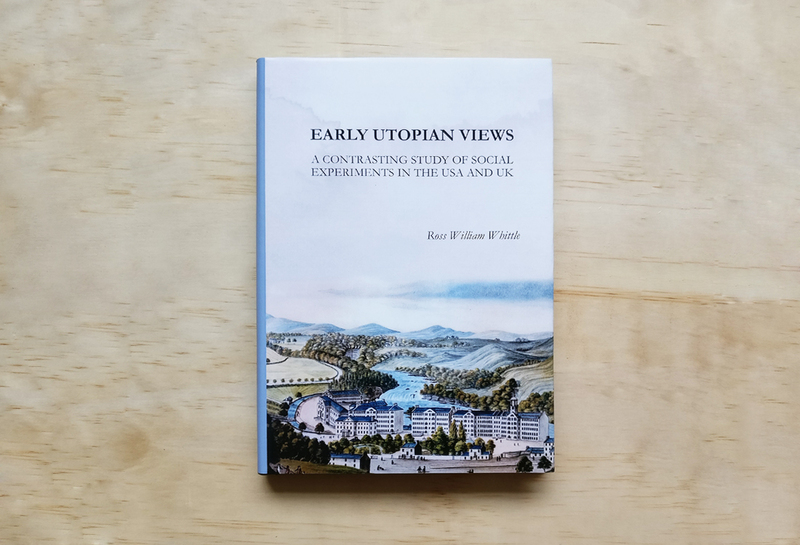 This study aimed to dissect the makings of utopia in and around the early 1800’s and drew conclusions as to the impact architecture may have had on such experiments. 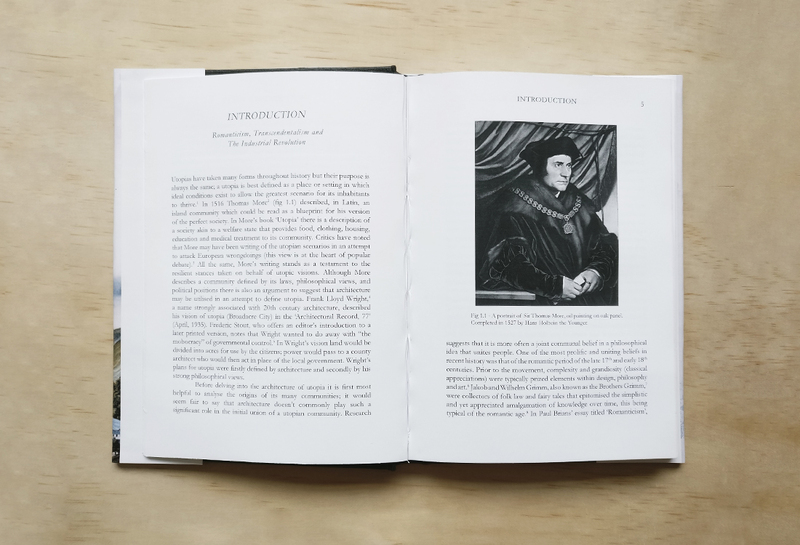 This body of work explored two particular attempts at utopia, one spearheaded by Robert Owen in New Lanark, Scotland, UK and the other by George Ripley at the transcendentalists Brook Farm, Massachusetts, USA. 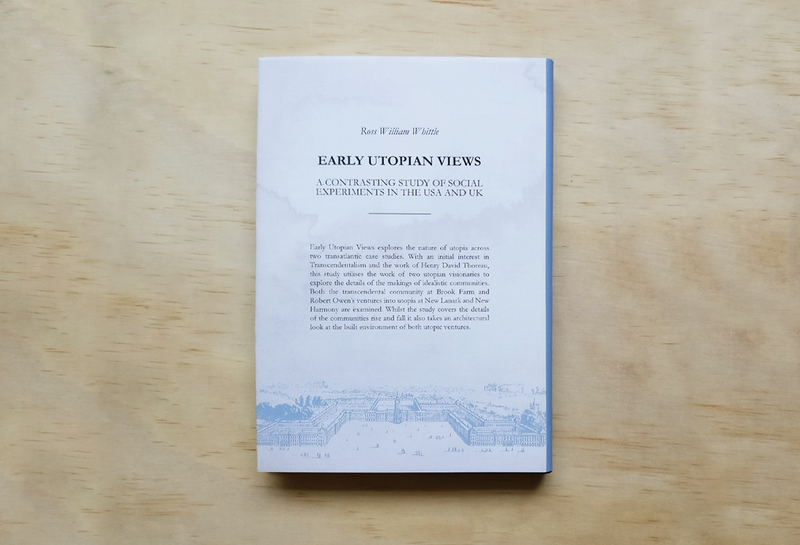 Although the communities shared a common goal of utopianism, they were at times subtly and at others radically different in their architectural and philosophical approach. Although not posed in such a direct manner, the overarching question at the centre of this research was: does architecture play a role in utopia? As part of the research piece it was my task to design a suitable layout for the document. By opting for a more traditional look the topic sat well within the method for presentation. Upon completion of the research I submitted my work to the ACS8 – Utopia, Architecture and Spirituality Symposium in New Harmony, Indiana. Passing through a triple blind peer assessment, my research was accepted and I was invited to present my work overseas in June 2016.